What Is the Costco Printer Return Policy? You can return a printer to Costco within 90 days from the date of purchase. Here’s what else you need to know about the Costco printer return policy. Most items purchased from Costco Wholesale can be returned for any reason at any time — but there are a few exceptions. Although printers aren’t listed under Costco’s electronics exception policy, they are considered an exception to Costco’s standard risk-free return policy, according to Costco’s corporate customer service department and its concierge services technical support team. Electronics must be returned within 90 days from the date of purchase. Most other returns at Costco are not time sensitive. The good news is that as long as you purchased the printer within 90 days, you can return it for any reason and in any condition. To make a return in-store, you’ll need to take the printer to the returns counter. A receipt will expedite your return, but you can still make a return without a receipt. 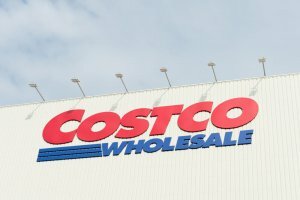 If you purchased the printer from Costco.com, you can either return it to a brick-and-mortar location or sign in to your Costco.com account and fill out a return request (free return shipping is available). Once your return is accepted, the full purchase price, including any applicable shipping and handling charges, will be refunded to your original method of payment. Printers fall under Costco’s electronics exception policy and must be returned within 90 days from the date of purchase. To learn more on Costco returns, see our article on Costco’s mattress return policy.